It’s well known that all women love flowers. They represent beauty in a very natural way and make every woman feel special and beautiful. But not everybody knows that flowers may indicate the personality of every woman! So, let’s find out a personality of your Slavic woman by her choice in flowers. » Read more..
Taurus woman is much to be desired! She is funny and happy person. Her round big eyes sparkle with wit and curiosity. You can’t try to remain her unobserved. You must approach and speak to her like the lady she is. The Taurus female is a giver, but she’ll expect a fair reward for her efforts. What she gets, she’ll hold on to. No doubt she is unique lady who likes to learn about your dreams and thoughts. She has fun teasing you and making jokes. If she did something wrong, she won’t hide it from you. And it is one of her best features. 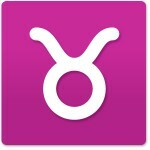 The Taurus woman will enjoy sharing what she has with her partner and will go to extremes to keep that person happy. She is a real treasure! Don’t miss your own Taurus Slavic lady! » Read more.. Comments Off on Taurus woman is much to be desired! 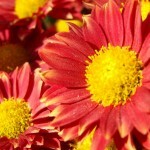 Flowers have always been an important means of communication between men and women. Since ancient times flowers symbolize human feelings: people send flowers instead of letters, give flowers to express love and respect at special events; flowers surround a person from the moment of his birth until death. So, let’s try to unravel the language of flowers, because only the right flower can show your Russian bride your true feelings. » Read more..
View Ilona’s Full Profile » Read more..
Vodka is one of the most famous symbols of the Slavic world, but I’d like to mention that I am not going to promote vodka but want to highlight some interesting facts about this Russian national drink. Attention: Russian girls in the photos don’t drink vodka, they are just as heady as this drink! » Read more..
Special offer for Easter gifts! 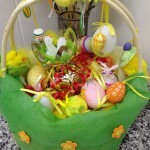 Easter is not only traditional Orthodox holiday but it is also celebration of the spring. Surprise your Lady with wonderful Ester gifts! GREAT OFFERS FOR ANY GIFT PURCHASE! Buy one gift to your lovely lady and receive FREE bottle of wine to be delivered with your order! Trees start to bloom, the weather is getting warmer and warmer and everybody are waiting impatiently for Easter Sunday – the holiest day of the year, the celebration of the resurrection of Christ. » Read more.. 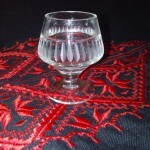 Comments Off on Special offer for Easter gifts! 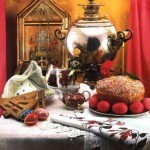 Easter is one of the most important holidays in Ukraine. This day every soul is filled with bright joy, happiness and hope. Easter is called Velykden, which means “The Great Day”. The week before Easter Ukrainian ladies are very busy because they need not only to cook a lot of Easter treats but also to make this day special for everybody. Of course not everybody in Ukraine is religious and fast before Easter, but Easter always means the new beginnings for every Ukrainian. The last Sunday before Easter is called the Willow Sunday (Verbna nedilia). » Read more..
Long Legs as a key to man’s heart. Every man like long female legs! Have you ever thought about the reason why? Why do they drive crazy so many men? Especially in spring when everybody start to wear short dresses and skirts you can see all the beauty of women’s legs! Ladies who are blessed with long legs are always catch the admiring men’s gazes. We are inviting you to delight in viewing long lean legs of Slavic ladies! » Read more.. Comments Off on Long Legs as a key to man’s heart. There is no true Ukrainian bride who can’t cook borscht – one of the magic dishes of Ukrainian cuisine. 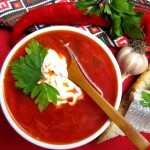 Borscht (also borsch, bortsch, borstch, borsh, borshch) is the main element of Ukrainian traditions. Ancient Ukrainians believed that the souls of ancestors lived in the steam of borscht, that’s why it was served very hot. Cold borscht was a symbol of lack of respect for the guest. Hot borscht was not only the nutritious dish but also meant happiness and understanding in the family and connection to ancestors. That’s why borscht is the traditional dish at the funerals. » Read more..